for awhile but is now back and reopening Norma Jeans. 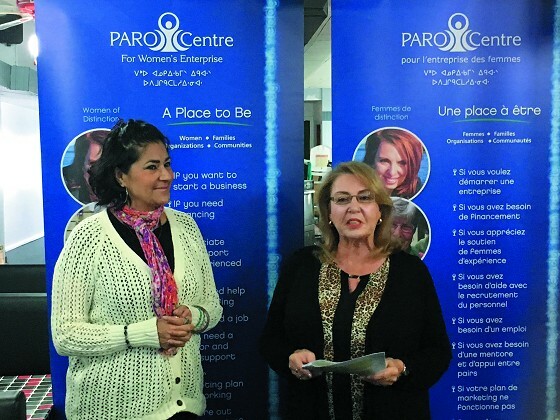 This is the first of 8 Paro Enterprising Women Awards that will be handed out on November 17th. There will be workshops that day, speed mentoring, a huge tradeshow and the awards event at the Victoria Inn. over 80 circles across Northern Ontario.”said Rosalind. The 2016 Enterprising Women Event attendees will have access to business education through networking opportunities, workshops, speed mentoring sessions, and an inspiring keynote speaker Zahra Al-Harazi. Those looking for more information, or to purchase tickets, are encouraged to visit paro.ca.